Keranmeriet's Gites and Farm blog | Life in Brittany. Welcome to our blog! The idea behind the Keranmeriet blog was to give people who are considering visiting us some honest feedback from our previous Guests. It does not just concern the farm but local attractions, beaches, restaurants and any other information that may help Guests make the most of their stay here. Click on one of the pages above to view comments. We have also added a page to this blog about our Farm as we have had lots of request for updates on life at Keranmeriet, so here it is! 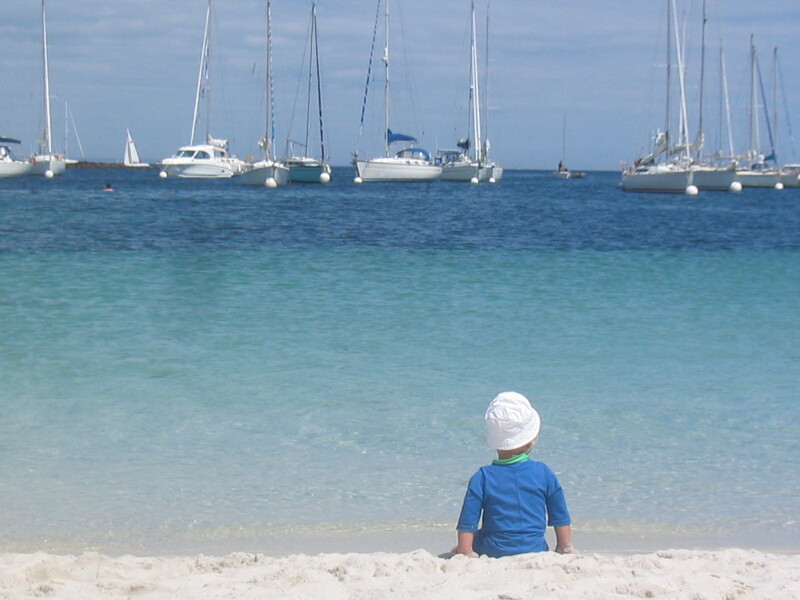 Photo above is of our son sitting on the beach at the Iles de Glenan. Keranmeriet is a farm in the beautiful Breton countryside. We have six gites available for hire. To find out more and book your holiday, please visit our website, www.bonvacance.com. We had a lovely holiday staying in the ‘Aven’ cottage. It was very comfortable and easily the best equipped cottage we have stayed in. The location is really good for both beaches and attractions so made a great base for our holiday. Erika and Rob are lovely hosts and very helpful with local knowledge if needed. We’ve just returned from staying in ‘minouet’ for the fourth time (my Brothers family stayed next door) and have had yet another fantastic holiday. Thank you so much Rob and Erika for the extra mile that you go every time to make sure all your guests have everything they need – you are the perfect hosts. The grounds of Kerenmeriet are beautiful and we loved watching the coypu (not coy carp!) in the field and walking down the newly opened up old forest track. There is so much to do in the surrounding area – and we took full advantage of the proximity to the fabulous beaches. Really recommend the coastal walk from Port Manec’h to Rospico (takes just over an hour and gives amazing views). Kerenmeriet is just a brilliant place to stay.